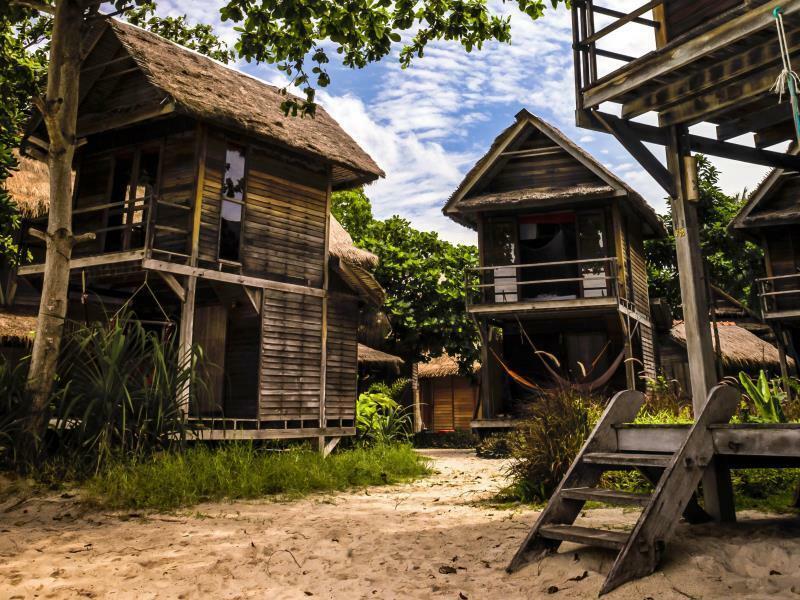 Said küsimuse Castaway Resort Koh Lipe kohta? 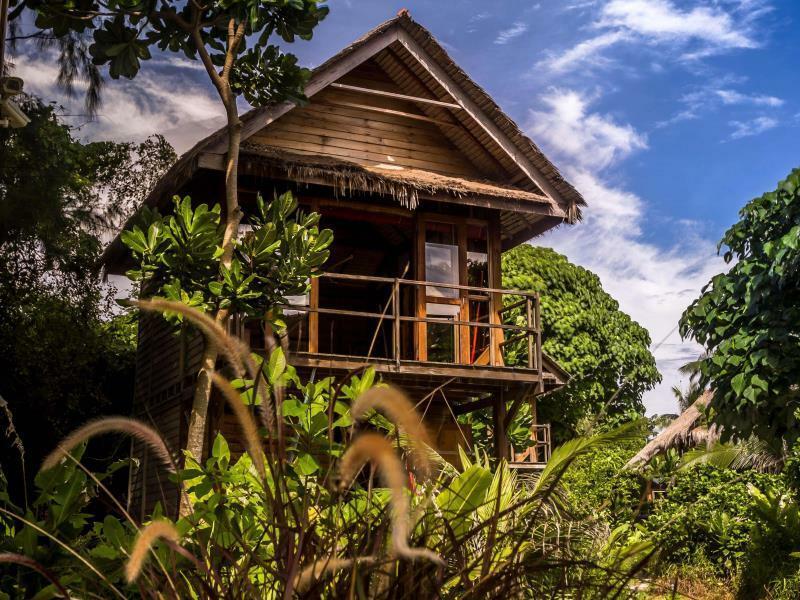 Ideaalne lõbuks ja lõõgastuseks, paikneb Castaway Resort Koh Lipe linna Koh Lipe alal Sunrise rand. Linna keskus on vaid 0.3 km kaugusel ja lennujaama jõuab 240 minutiga. Hotelli külalised võivad nautida linna tipp-vaatamisväärsuste ringreisi: Loojangu rand, Ko Lipe, Walking Street. 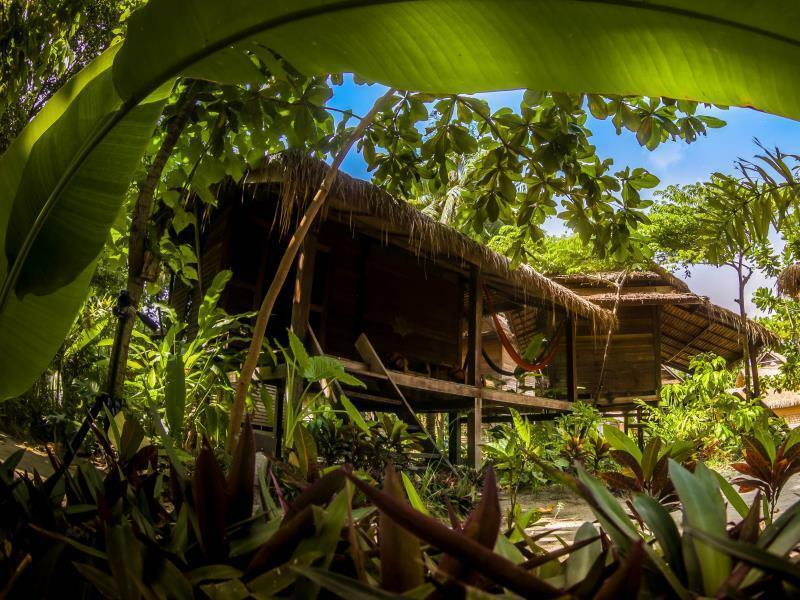 Pakkudes hotelli külalistele parimat teenindust ja laia valikut lisamugavusi, võtab Castaway Resort Koh Lipe kohustuse tagada, et Sinu sealviibimine oleks nii meeldiv kui võimalik. Hotellikülalised võivad nautida kohapealseid võimalusi, nagu igapäevane toateenindus, kingituste/suveniiride pood, postiteenus, piletiteenus, pakihoid. Kogege siin majutudes kõrgekvaliteedilise toa võimalusi. Mõned toad sisaldavad Mittesuitsetajate toad, rõdu/terrass, ventilaator, sülearvuti turvakarp, in room safe, mis aitavad külalistel end peale pikka päeva laadida. Pealegi, hotelli vaba aja veetmise info tagab, et Sul siinviibimise ajal ettevõtmistest puudu ei tuleks. 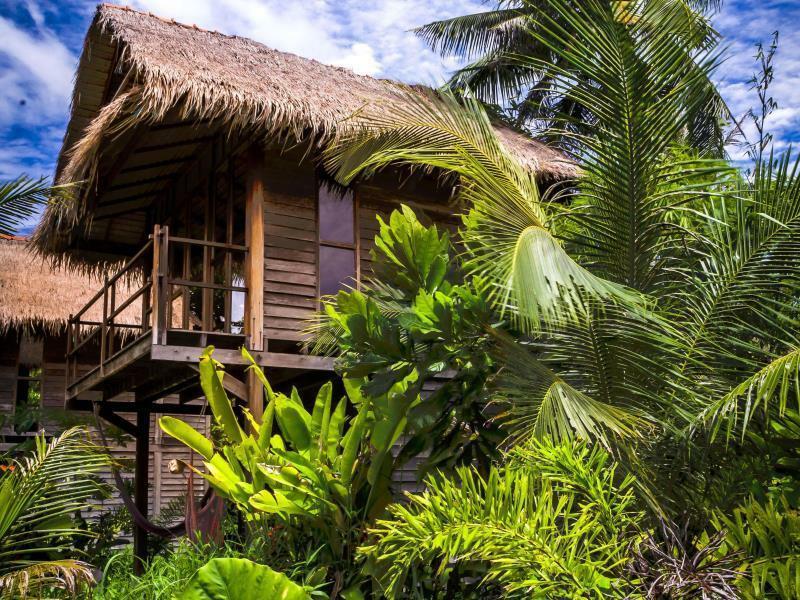 Avasta kütkestav segu Castaway Resort Koh Lipe professionaalsest teenindusest ja mitmekesistest teenustest. 11-aastaseid ja vanemaid peetakse täiskasvanuks. Hot shower facility is not available at this hotel. Lisavoodi võimalus sõltub valitud toast. Lisateavet küsi majutuskohalt. The location and facilities of this resort are top notch. Great restaurant overlooking turquoise water. Rustic bungalow without AC or hot water, however if you are prepared for that, it won't be an issue. The staff were very friendly. Jeremy was great in helping us out. Food was good too. I just wish there is mosquito screen on the balcony so we can sleep with doors open. In generali would say one of the best hotels we’ve ever been. Food in the restaurant is pretty great good. Only thing where they can improve from our pointer view is the service in the restaurant. As we sometimes needed to wait very long time to get food, drinks or even just menu. This is my second time getting back to this resort and no wonder it's still wonderful. I love being around nature even though the room doesn't provide air-conditioner but it's not hot. Staffs are really helpful and friendly. I love hotel's bar and restaurant, food and drinks are awesome. Would go back there again for sure. Location is excellent, and the hotel staff is friendly. You just have to know that the rooms do not have AC, hot water nor little creature comforts like hair dryers. Otherwise, the chalets are great. Ok. I was really disappointed. The bungalows are so close to each other that you here the conversation in the next one. Although yes i have a noisy neighbours. So you really can forget about some privacy. The bungalow itself is interesting. on the first floor is the bathroom and toilet with is very good when you came back from the beach. First you take a shower and than you can go to the bedroom. Though I really suggest to Castaway to put some mini shower for foots or something. If your in couple or with kids it get little bit strange to use the toiled though. Second floor is the bedroom with i adore. Great view, great bed. And on the little balcony you can watch the star. on the porch is just so relaxing as on the beach. The location is great. I love the beach and the see. A few minutes and you are on one of the bests spot for snorkelling and after 5 min walk you are on the walking street. As I say booked 3 nights more. The cabanas are beautifully decorated, many with ocean views. I love the eco-friendly business they are operating, but be sure you are ok with not having A/C and hot water. I stayed here during low season at a reduced rate and still felt the price was a bit high. The resort restaurant serves delicious food with slightly smaller portion sizes than the norm. I really hope they are able to find a solution to the 'noise pollution' from the bar next door - ask for a quiet room if you're sensitive to noise! The only cons is the lighting too romantic. A bit dark at ground floor area and stairways. Could lead to trip and fall. Should add more lights. Air condition not available but satisfied with two strong working fan. Very relaxed atmosphere. Staff were very helpful. You could eat all your meals there if you wanted. Great happy Hour(s) drinks! Loved to rent their paddle boards and kayaks! Rooms are very simple, but clean. No hot water. But there were 2 beds, which could sleep 3. Nice racks to put your clothes on. Loved our stay! I would say ok and comfortable. there is no hot water. my room is near the beach. we enjoyed and love the scenery of sunrise beach and the cozy of our bungalow. would come back and try another type of room. Nice idea, to protect the nature, to collect the rubbish, to use less energy etc. Although would be nice to give it back to us, customers, all the costs the owner does not have because he does not need to buy aircon fridges safe or TV.. For that its quite expensive. But in total very great location. Helpful and realy friendly staff. Well trained in english too. I was told this was a lovely place but this out did all expectations..food was so so good...and I am quite a harsh critic..delightful friendly and efficient staff...I'm kind of used to slow service..here it was lightening..i ordered a latte and smoothie..they arrived in less than a minute...the room was comfortable..i had a beach front bungalow..spacious clean bathroom..didn't quite get fan to work well..but I was fine..and I loved the yoga with the charming Anders...only bad thing was that I had to leave...i loved it..and hope to be back again soon. Castaway is as advertised. 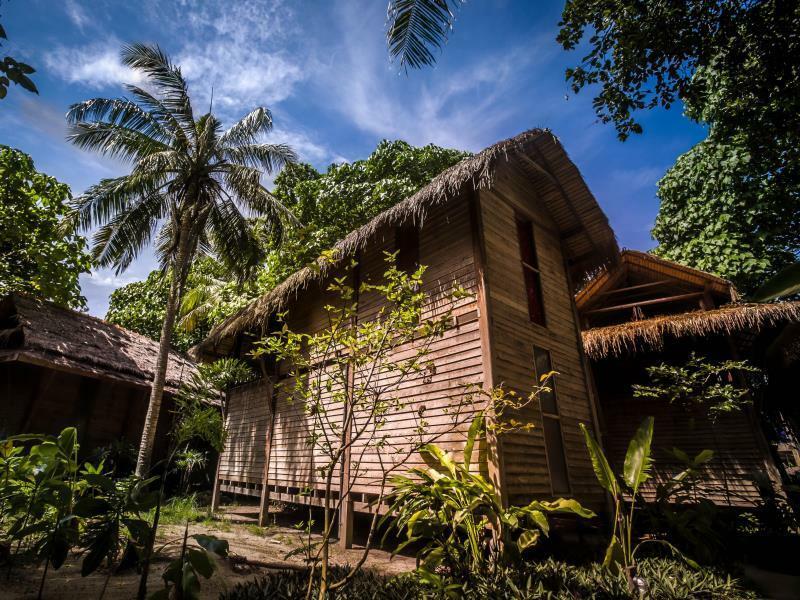 It is not a luxury hotel, but a very nice Eco-friendly bungalow resort. I highly recommend it for the simple life aspect of it. The food and staff are lovely. The deck is a great place to hang out for breakfast and drinks, and to see all the stars at night. Honestly speaking, there is no need for aircon at night or hot water so don't worry about that. It does get a bit hot in the bungalows during the day but why would you stay in your room during a vacation to an island. 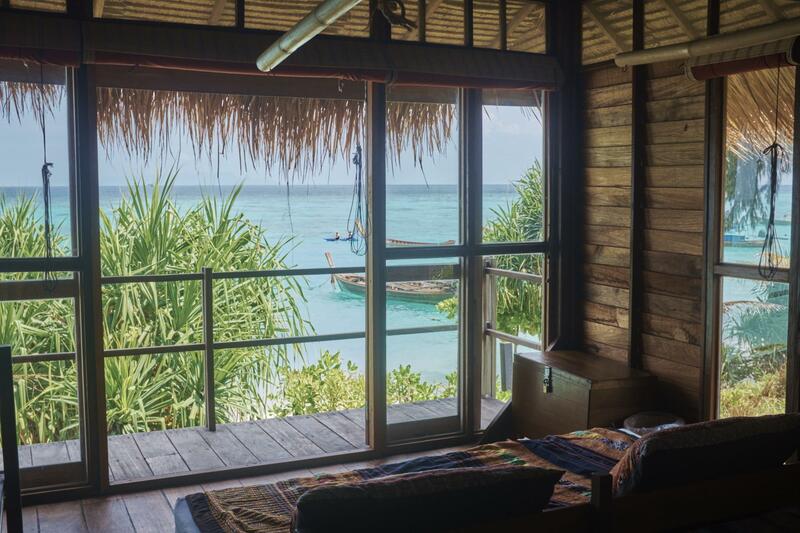 As far as Lipe goes, it's one of the nicest resorts on the island. I went and looked at all the resorts on Sunrise beach and Castaway was one of the best despite being at a lower price point. There was basically only one other resort I would have preferred to stay at and it was 4x the price. Normally I only stay at 5 star hotels but I was very balky at Castaway. The only and most important reason I will not stay or recommend anyone to stay at this resort is the fact that the room is only provided with ONE very weak ceiling fan for the sleeping area. For the price, i believe it should at least have air conditioners. Even though I paid 3 nights there I only slept in my room for one night. After turning and tossing for the entire night from the heat I decided to have stay at a different resort for the rest of my holiday. Which is quite a pity. Everything else I LOVED about this resort. I enjoyed staying in the hotel as a staff was very friendly and helpful. This place has diving center run by very friendly people. Hotel is right on the beach, we loved walking into water 20 meters in corals starts where we could see a lot of different fish. Cast Away Resort, no doubt is the best beach resort to consider if anyone wants to escape from bustling city life, truly mixed with nature, best diving and snorkling near and in front of the resort, it has all the top class facilities, beautiful natural environment, friendly staffs, white sandy beach and delicious foods. good diving and snorkeling gears,arranged with boat and specialized divers. The castaway was a pleasure from the moment we arrived. There is a member of staff waiting at every ferry arrival for directions and to take luggage. It is a very short walk from the ferry drop off. Whilst checking in we were given a cold juice and told to sit and relax, which was appreciated after the crazy speedboat ride. There is a delicious free (All day!!) breakfast and the bar has 2 for 1 cocktails during happy hour. The beach looks like a postcard and the view from the common space/bar/restaurant is heavenly! The only downside of this place is that the rooms are fan only and it's stinking hot. It's very dark at night coming from walking street but the neighbouring hotel has tiki torches back to the beach. Just take a torch and plenty of mosquito repellant as there are lots of mozzies. 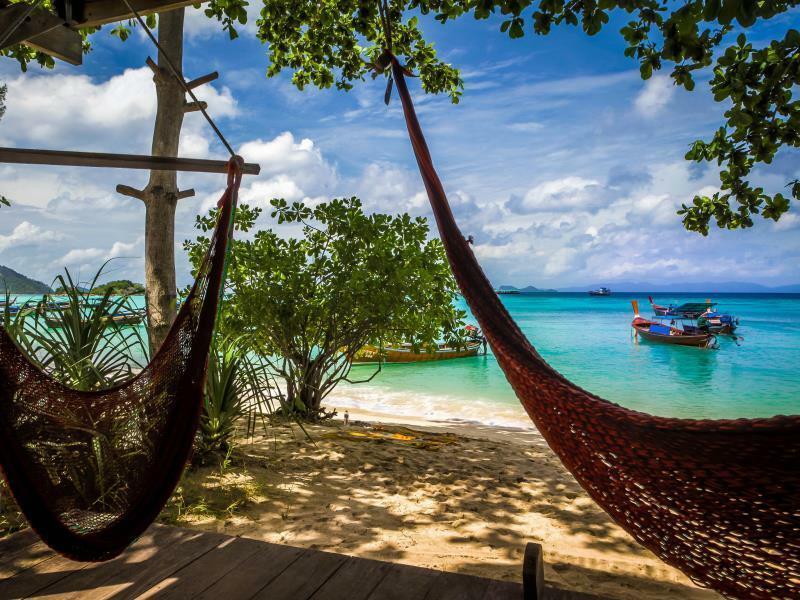 Lipe is so beautiful and the Castaway is the perfect place to stay for a sublime Lipe experience. The villa-styled hotel is very unique in it's own way. My stay at the Castaway Resort is memorable. The villa-styled hotel is unique, the bathroom on the ground floor and the bedroom on the upper floor. Walking along the stretch of the beach, we come to realise that this hotel has got the best room price in comparison to the bar/restaurant it has to offer. It was a low season on my visit to Koh Lipe, many shops are closed and the beach being a little isolated from the main street, the bar in your hotel is all you had and by far, the bar is quite a spot to be at in the night. The only downside is that there are mosquitoes almost everywhere. To top that off, there is no air-conditioning facility provided by Castaway Resort. At the end of the day, my stay was quite interesting.